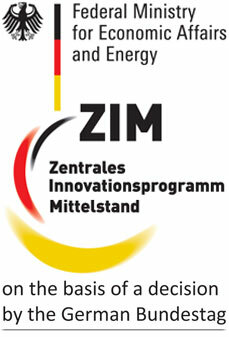 Also this year, emtec Electronic GmbH will attend the Zellcheming Expo in Frankfurt/Main in Germany. At exhibition booth no. G18 (hall 4.1) the company will present a variety of testing instruments by which the complete production process – from the wet end to the finished products – can be controlled and guided in the right direction, to get an efficient process and the best possible quality with the lowest possible costs. To meet steadily the changing demands and requirements in the paper and board industry, the focus is again on further developments and innovations. The FPO Fiber Zeta Potential Analyzer Online is an Online measurement device for the fully automatic determination of the Zeta Potential of fibers in paper and board machines with two independent sampling points. The data transfer is working by standard interface to the process control system. An optional data storage is possible on the Internet server, so that the measurement data can be seen with Internet access from all over the world. Emtec Electronic, a developer and manufacturer of specialized test devices for the paper, nonwoven and textile industry from Leipzig, Germany, will showcase its TSA Softness Analyzer for Nonwovens at the ANEX 2018 during the exhibition days June 6 - 8, 2018. The emtec TSA - Nonwoven Softness Analyzer can measure the three basic parameters, which determine the human feeling. These three basic parameters are the softness, the smoothness and the stiffness. By different mathematical models, a hand feel (HF) value can be calculated, correlating very well with the human expectation. Tests have shown a correlation between 90 and 100 %, which indicates a possible substitution of the subjective hand test by this objective measuring method. The TSA includes also a measurement of the elastic, visco-elastic and plastic properties. In particular, the availability of the three basic parameters offers a great number of possibilities for R&D, process and product optimization and quality assurance. During the exhibition, the booth visitors are invited to bring their samples for measurement of the softness. Emtec Electronic presents its testing devices at the High-Tex from Germany and the Techtextil North America 2018 in Atlanta, USA at booth no. 1841. Emtec Electronic targets with its innovative testing devices at optimizing the whole production process of its customers. The testing devices, which are important for the textile and nonwoven industry, will be presented at the High-Tex from Germany and Techtextil North America 2018 in Atlanta, GA, USA during the exhibition days May 22-24, 2018 at booth no. 1841. The German manufacturer will present its unique TSA Softness Analyzer for determining the soft touch of textiles and nonwovens. The CAS touch! Charge Analyzing System and the FPA Fiber Potential Analyzer, which aim at testing the efficiency of chemicals and acquiring the information about the interaction between fibers and chemicals, will also be exhibited.